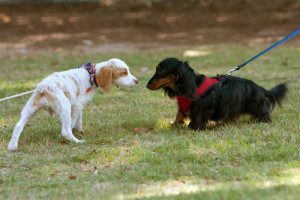 No matter what stage of training your dog is at regarding walking with you on a lead, there are three things you should do to improve your experience and three things that can cause trouble. Before we get into the three behaviors that will improve your dog-walking experience, be sure to have the proper equipment for safe, fun, leisurely walks with your furry friend. Always take pickup bags with you to remove dog waste. Also, get a strong leash not more than six feet long. Only use retractable leashes for specific types of tracking and recall training for your dog. Avoid stressful, reactive situations. 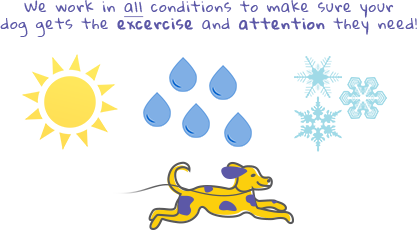 If you’ve had your dog for more than a few weeks, you should know what kinds of stimuli set him off. Some dogs love to chase squirrels; others like birds. Some dislike mailmen or having puppies sniff them. All dogs have different people, animals, or situations that set them off. Know what your dog reacts to the most and stay alert to avoid those situations. Learn to read other dog walkers. The most important thing to know when another dog walker approaches you is whether or not they are in control. Look for signs of unstable energy. If the owner is shouting at their dog to correct him, or the dog is pulling its owner off balance, it’s best to step aside and let them pass you or cross the street. Change course carefully. If you have to avoid other dog walkers or exciting stimuli, always change your course calmly with as little force as possible. Don’t stop abruptly and try to yank your dog out of the way of someone or something. You can use verbal cues as long as they’re quiet and calm. Dogs often interpret raised voices as barking, which can only exacerbate a non-ideal situation. This is probably the most important don’t on this list. Dogs respond to your reactions. Panic is one of the most extreme reactions you could have to any situation. Dogs react to you suddenly tensing up in a protective or aggressive way. If they get into an alert, excited state based on your extreme reaction, it can lead to snapping, fighting, and worse. Let your dog approach others without permission. You can’t always predict how your dog will react to strange dogs or strange people. Some people and dogs don’t react well to even the friendliest dogs in the world. A simple, three-word question is usually all you need to ask to let your dog greet other dogs on the street: “Is he/she friendly?” The dog’s owner will always tell you if there’s an issue. Escalate the situation. If your dog gets into a scuffle or a potentially dangerous situation with another person or dog, the worst thing you could do is escalate the situation by yelling or getting upset. Even if your scorn is reserved for your own dog, reacting in this way will only add more aggressive or unstable energy to the encounter. If it’s your fault, settle it calmly and apologize. If it’s not your fault, don’t demand an apology, and remember that you can always walk away calmly. 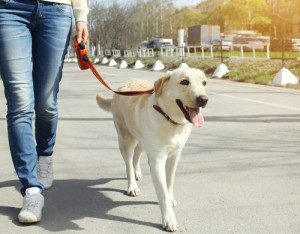 Follow all of these dog-walking etiquette rules for a safe, fun dog-walking experience every time. Contact Hustlin Hounds if you need help getting your dog outdoors.